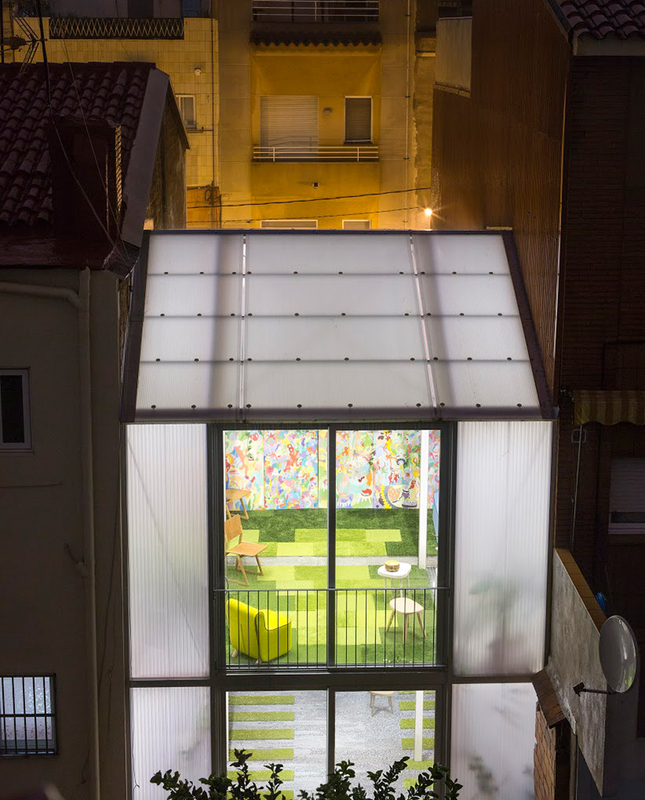 a slender polycarbonate structure has been built as the extension to a home and studio for a british artist in spain. 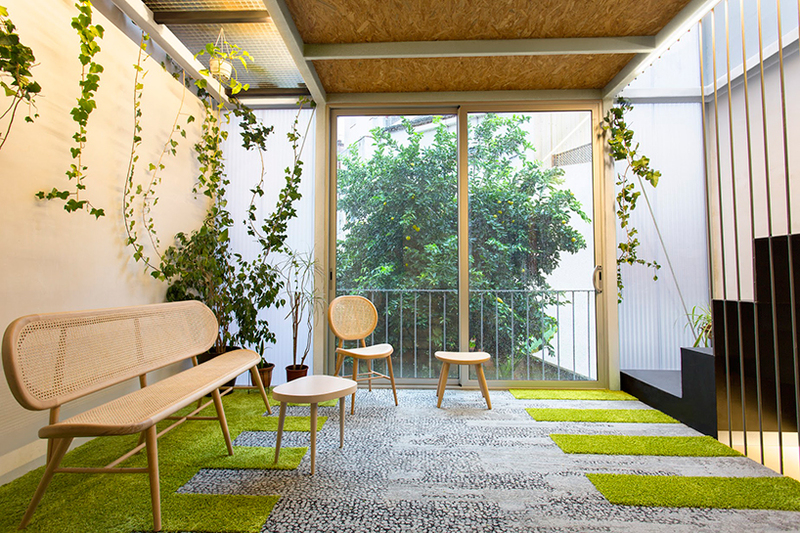 in contrast to its more traditional and old-fashioned neighbours, the volume is designed as an indoor eco-system which overlooks a lemon tree that grows from the inner courtyard. 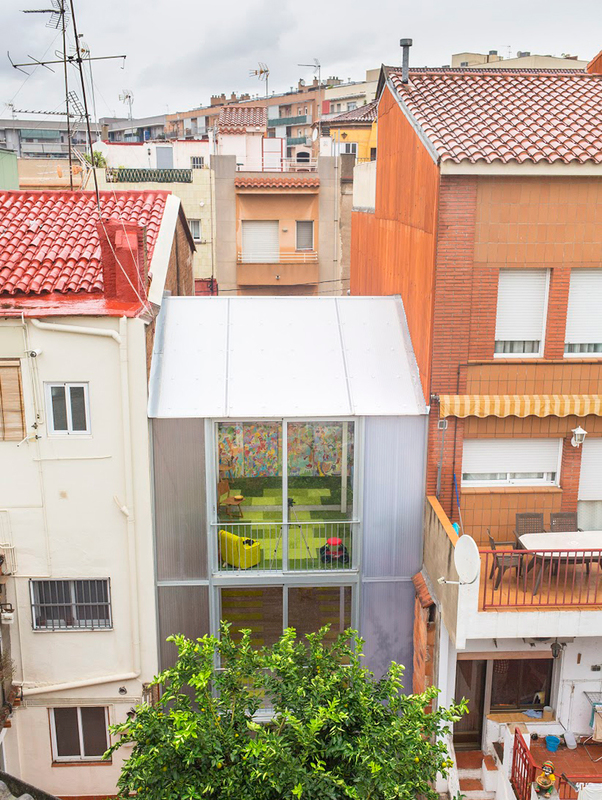 barcelona-based ERA architects were the designers who realized the ‘casa poly’ extension with the aim to envelop and protect the adjoining existing house. 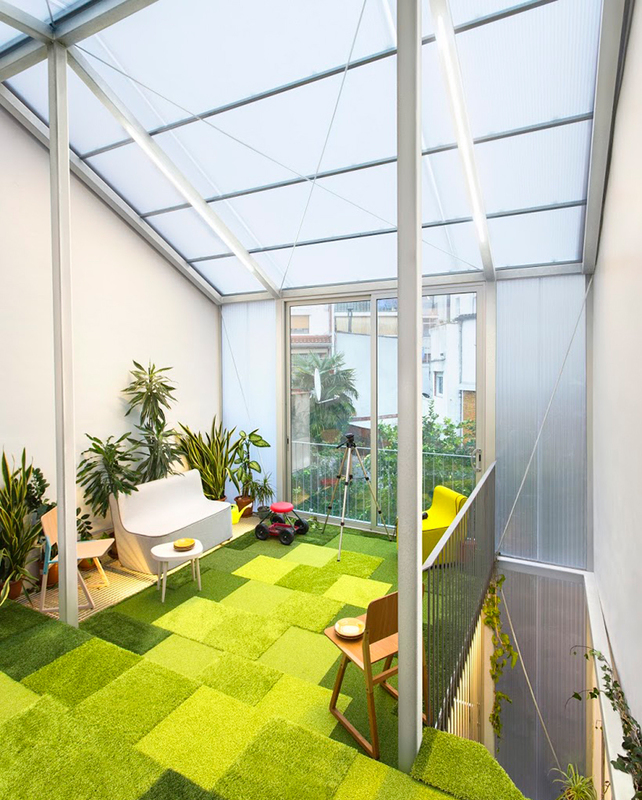 light and comfort is maximized inside the vertical greenhouse-like structure that is comprised across three levels, each featuring its own connected garden space. 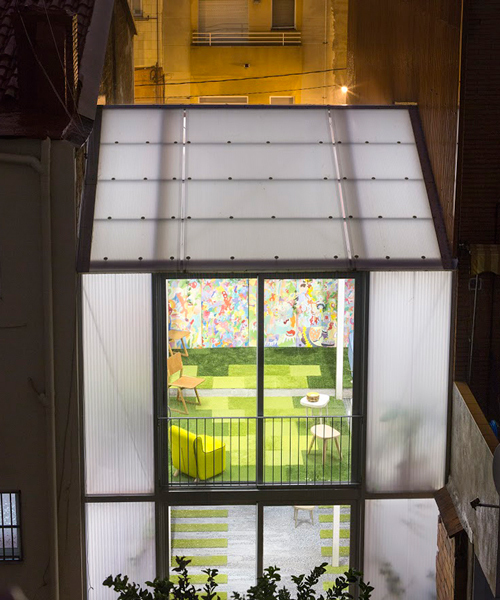 as a result, this greenhouse allows the artist to have an independent but connected dwelling that is naturally lit and passively ventilated. 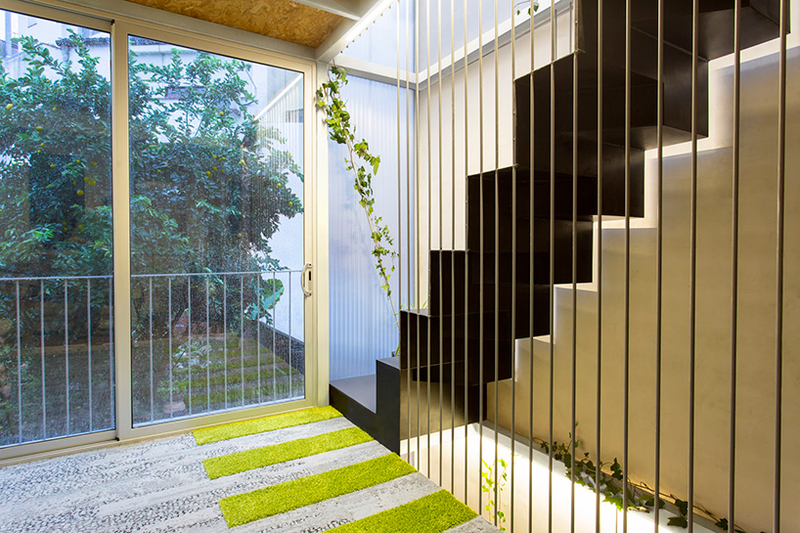 an indoor and outdoor environment is achieved throughout all three floors; greenery and vines climb up the walls, the balconies open up to the scenery outside and green flooring mimic grass. 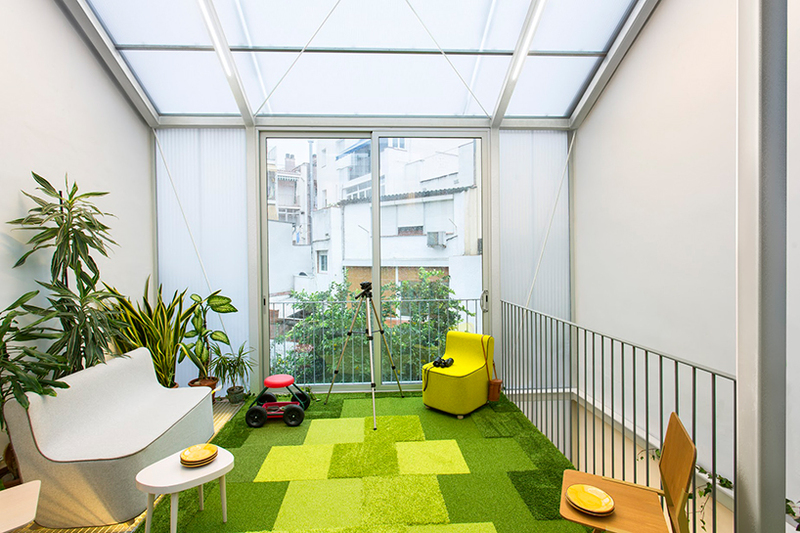 the top floor accommodates the art studio; a diaphanous space composed of high ceilings and high natural light intensity to encourage creativity. 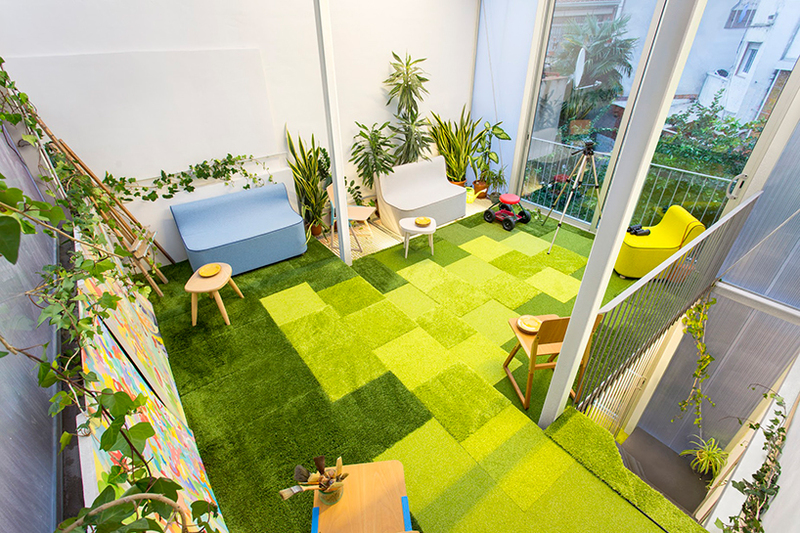 this studio area opens up to a large balcony and is conceived as a greenhouse ecosystem with step-like platforms, coupled with green carpet to evoke a wild prairie.